Topographical surveys are used to locate typical site features like, boundaries, buildings, fences, trees, service covers, contours of the land etc. Even underground services can be located and traced using sub-surface radar. The survey plans can then be used by the client or architect to gain a better understanding of the site and know the boundaries limitations which aid with the design or possible improvements to a site. 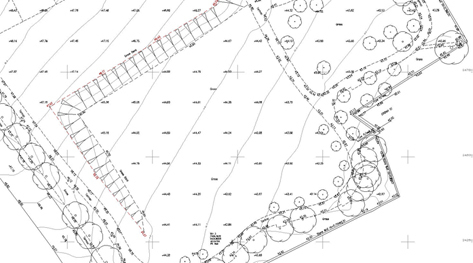 GEOsurveys Ltd can provide tailored topographical surveys to suit the client or architects requirements. GEOsurveys use state of the art Leica Geosystems survey technology including Robotic Total Stations, GPS and Digital Levels. 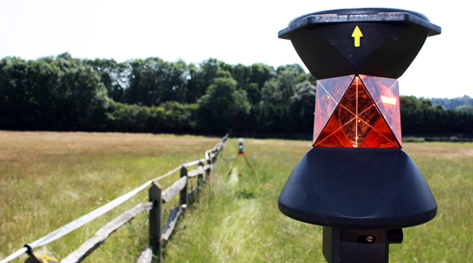 The use of GPS also enables surveys to be related to national datum’s, such as Ordnance Survey’s National Grid. Site data is processed using LSS software and for final drafting and presentation in either two or three dimensions. Terrain models and contours can also be produced when and if required. GEOsurveys work in accordance with the survey guidelines set in the RICS ‘Surveys of Land, Buildings and Utility Services at Scales of 1:500 and Larger’.